What a day! 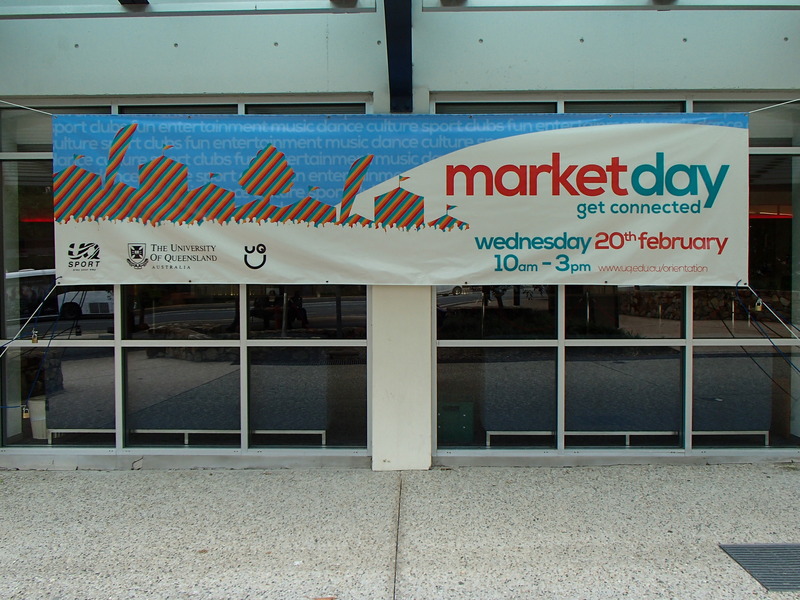 The University of Queensland has been talking up Market Day and I completely know WHY now. 🙂 The entire campus was flooded with over 50,000 undergraduate students, postgraduate, and staff. The great court was filled with tents, sumo wrestling matches, live music, volleyball courts, photo booths, and so much more. 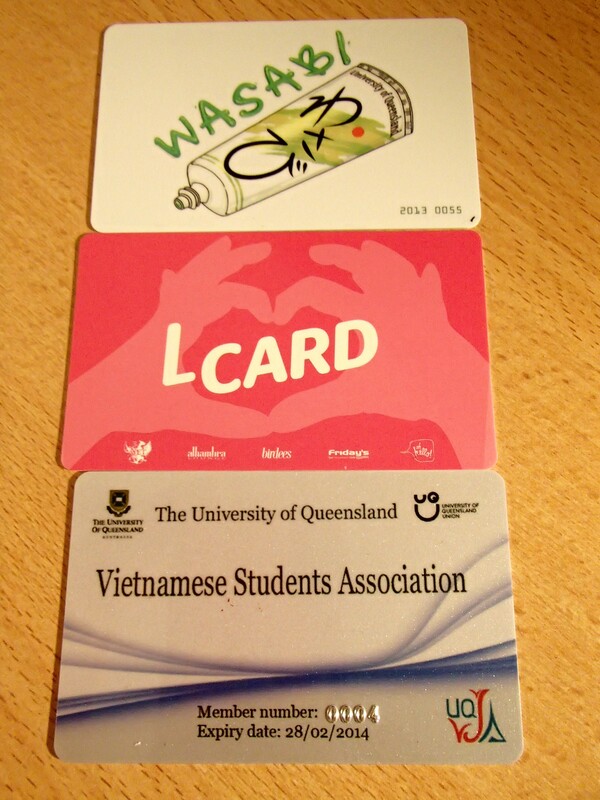 A few of the cards I purchased today! 4.) 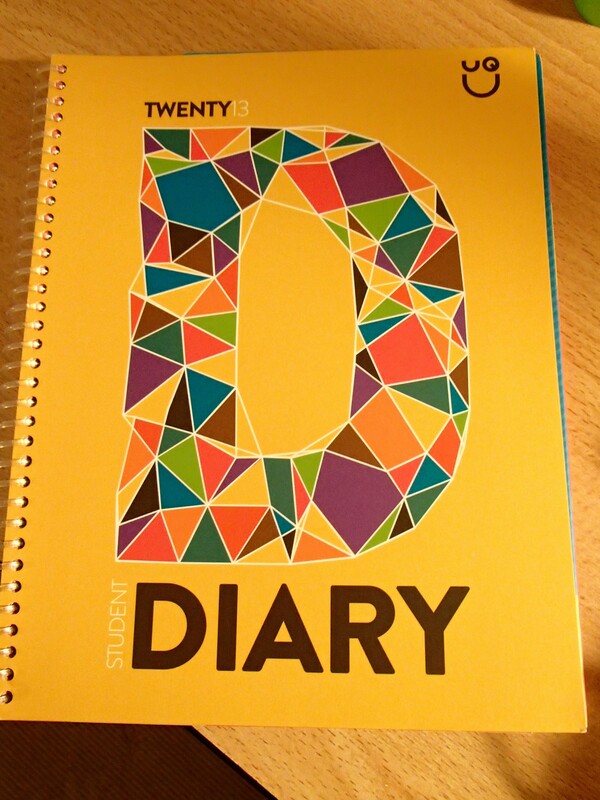 Picked up my student agenda/planner/diary! 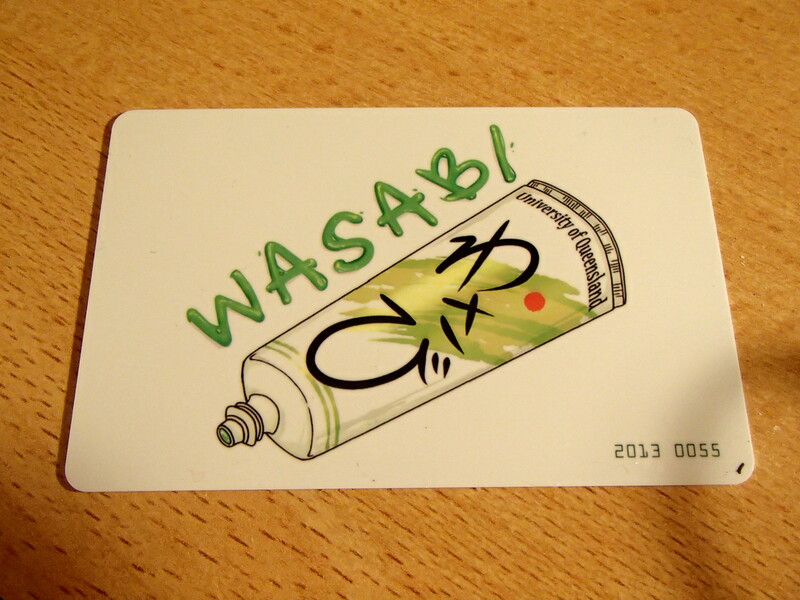 It’s awesome and I can’t wait to use it. It is filled with random facts like pogonophobia is the fear of beards. 5.) 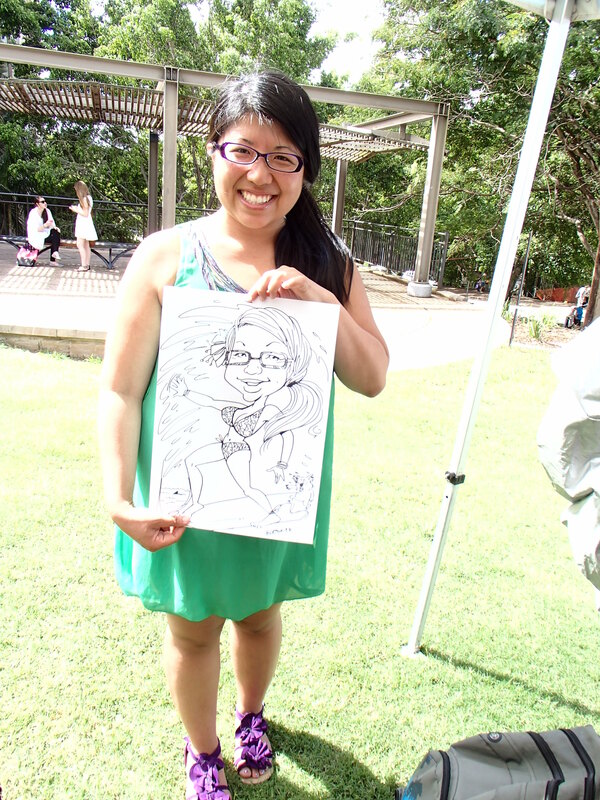 Picked up a lot of freebies and even had a caricature made of me! My friends and I waited in line forever but it was definitely worth it. We all wanted to decorate our rooms with some art. The artist was so friendly and included a koala without knowing it was my favorite animal! She rocks! Can’t wait to frame it. Does anyone have any fun and creative ways to frame and hang it? I’m going to turn into a surfer! 6.) 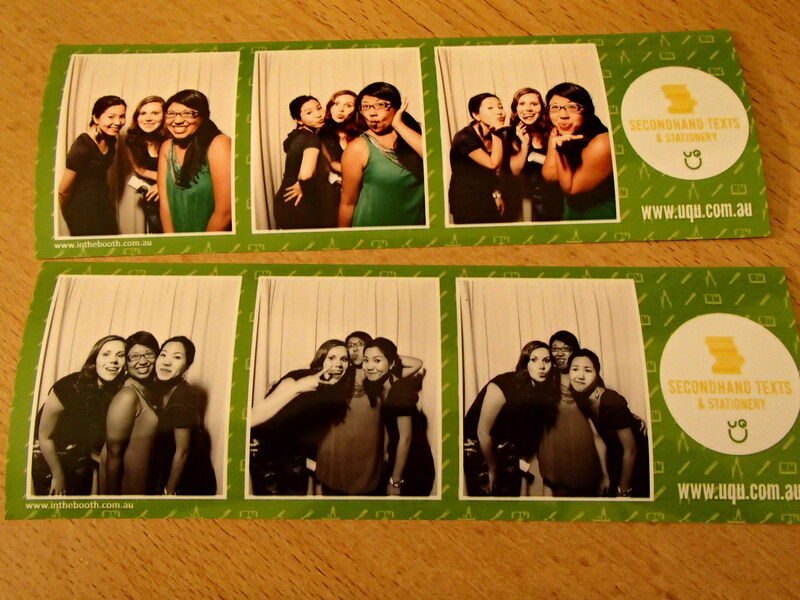 Last but definitely not least, the day couldn’t end without Wil, Kanae, and I taking a few photos in the photo booth! 🙂 I love how international we are. The three of represent three different countries the Netherlands, Japan, and the USA. The international community is alive and well here and I can’t wait to learn about so many different cultures. In the fourteen days I have been in Australia, I have met friends from eleven countries: Australia, Denmark, Ecuador, Indonesia, Germany, Japan, the Netherlands, Pakistan, Russia, Taiwan, and Vietnam. 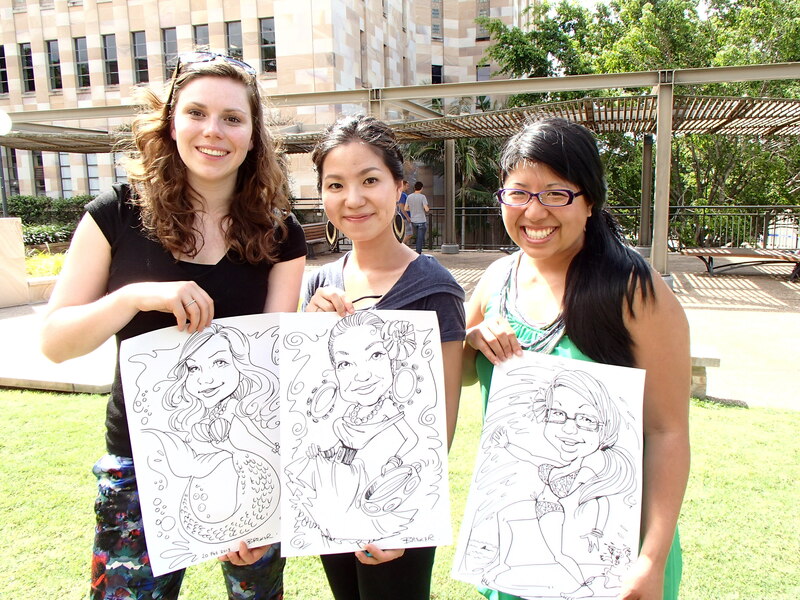 It’s going to be a great year at the University of Queensland. I just know it!